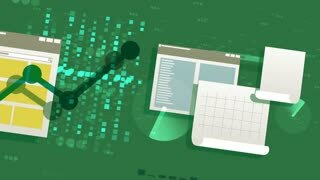 Search Results for "pie charts"
Charts and Graphs Loop - Seamless animation loop of various bar graphs, line graphs, and pie charts. Moving Camera Flyover Shot of the Business Meeting Room Table with People Sharing Documents with Pie Charts and Statistics, Tablet and Laptop Screens. Shot on RED EPIC-W 8K Helium Cinema Camera. Beautiful Businesswoman Gives Report/ Presentation to Her Business Colleagues in the Conference Room, She Shows Graphics, Pie Charts and Company's Growth on the Wall TV. Shot on RED EPIC-W 8K Helium Cinema Camera. Percentage Pie Charts as Technology, Science, Data Analysis, Business, Finance or Economy illustrative background. 1920x1080 full hd footage. 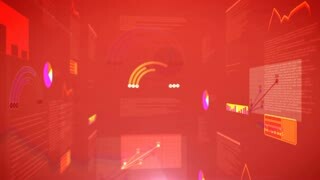 animation of various bar graphs, line graphs, and pie charts. In the Near Future Beautiful Renewable Energy Scientist Works with Touchscreen Keyboard and Transparent Computer Display. 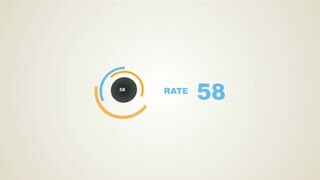 Screen Shows Interactive User Interface with Flowing Pie Charts, Graphs. Shot on RED Epic 4K UHD Camera. Transitions of elements of infographic with each other. Graphs, pie charts, and others are transformed. A man uses pie charts on a chalkboard to compare the chemical balance of wheat vs. whole wheat in the 1920s. Chief Female Executive Leans and Spreads Project Blueprints on the Table Showing them to Her Colleagues. In the Background Pie Charts and Company's Growth on the Wall TV. Shot on RED EPIC-W 8K Helium Cinema Camera. Asian Businessman Gives Report/ Presentation to His Business Colleagues, Pointing at the Results Showing Statistics, Pie Charts and Company's Growth On Wall TV Screen. Shot on RED EPIC-W 8K Helium Cinema Camera. Beautiful Businesswoman Gives Presentation to Her Business Colleagues in the Conference Room, She Shows Graphics, Pie Charts and Company's Growth on the Wall TV. Shot on RED EPIC-W 8K Helium Cinema Camera. Modern Empty Meeting Room with Big Conference Table with Various Documents and Laptops on it, on the Wall Big TV Showing Company's Growth, Statistics and Pie Charts. Shot on RED EPIC-W 8K Helium Cinema Camera. In the Near Future Renewable Energy Scientist Works with Touchscreen Transparent Computer Display. Screen Shows Interactive User Interface with Flowing Pie Charts, Graphs. Pie charts, animated circle diagram. Color Infographics. Green screen background, easy for keing. 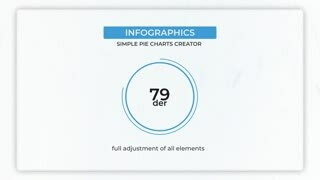 Pie charts, animated circle diagram. Color Infographics. Three pie charts, diagram for presentation. Drawing three pie charts. Close up view of male hand drawing pie charts in notebook. Planning or strategy concept. 4k Close up on document with pie charts and business graphs on boardroom table. No people. Shot on RED Epic.